Tom Komaromi is a 2001 graduate of Sutherland-Chan (Toronto) and has been an Examiner for the College of Massage Therapists of Ontario since 2004. Tom worked in a Toronto clinic (Massage TherapyWorks) from 2001 until 2015. He concurrently had a home practice until December of 2016. Tom began 180 James Massage in Hamilton in December of 2016 at which time he moved to the Niagara Region. He has studied Myofascial Release and has a keen interest in working in the areas of PTSD, workplace stress and Traumatic Brain Injury survivors. Tom worked in social services for fifteen years before embarking on a career in massage therapy. His experiences in this sector have contributed to a greater understanding of mental health issues. Tom is keen to assist people in reaching all their wellness goals through education and application of Massage Therapy. 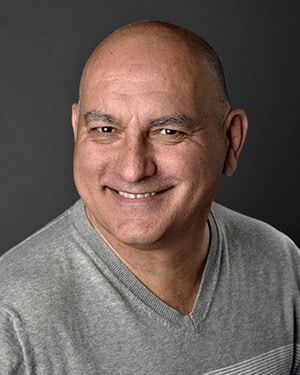 Tom has had a range of experiences in the massage profession including working with professional actors, stroke patients, and the elderly and also in palliative care. He strives to put the “we” in wellness by encouraging people to be engaged in their health care.